The finding is the result of research that investigates the relationship between stress and depression. 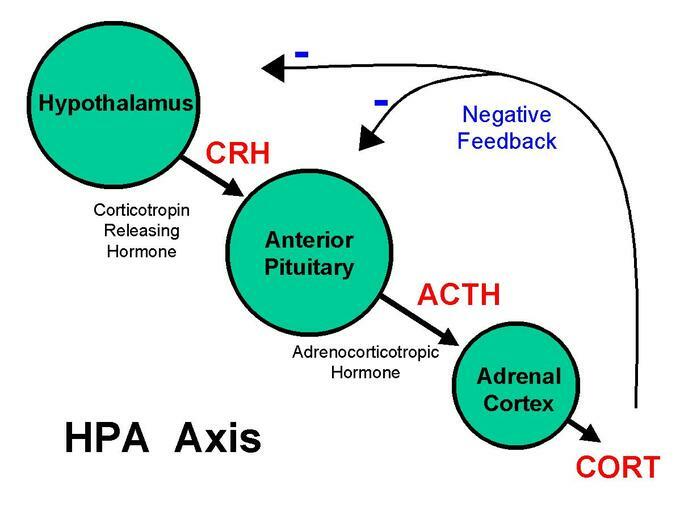 Researchers at the Butantan Institute, one of the world’s largest biomedical research centers, have been able to inhibit the secretion of the hormone released in stressful situations, adrenocorticotrophic (ACTH), also called corticotrophin (CRH). The finding is the result of research that investigates the relationship between stress and depression. The progress of investigations into the brain structures responsible for the stress response will in the future allow the manipulation of these structures and the understanding of the mechanisms that trigger depression. Researcher Lanfranco Troncone, responsible for the Laboratory of Pharmacology at the Butantan Institute, explained that stress control occurs by blocking other hormones that act as mediators of the two types of stress analyzed, both physical and psychological. The study was able to show that two mediators can separately control physical and psychological stress: the antidiuretic hormone vasopressin seems to control the physical, while the corticotropin release factor appears to be related to the psychological. Thus, by blocking vasopressin receptors, the response to physical stress was prevented. E, blocking CRH receptors. it was possible to block psychological stress better. “Another point is to be able to improve the tests that are made for new anti-depression drugs. With this, we will make them more reliable and there will be a reduction in the cost of developing new drugs, “says Adriana de Toledo Ramos, biologist responsible for the research. Currently, treatments for depression involve various attempts and adjustments of medications, doses, and frequency of use, making therapy long and often failure. Simple blockade of vasopressin and CRH receptors may not have antidepressant action, but these and other issues still need to be investigated. “This is where we stop and we will continue the investigation. Let’s map the brain areas that are involved in physical and psychological stress to see if we can manipulate these places until we get the expected response, “Lanfranco says. The study has been developed since 2006, when researchers Adriana T. Ramos, Sergio Tufik and Lanfranco Troncone published an article in the journal Neuroendocrinology, which can be accessed.